An NBC Bay Area investigation into child labor has prompted a renewed push to change the law governing children working in American fields. Congresswoman Lucille Roybal-Allard (D-East Los Angeles) is calling for new protections for kids who work in agriculture, specifically large corporate farms across the United States. She is re-introducing a bill called the "Care Act," to ensure that labor laws are the same for children in all industries, including agriculture. In a political season where the presidential campaign is gathering nearly all the media attention, there is a quiet movement starting on Capitol Hill to change a labor law that currently allows young children to work in the fields. But even supporters of that proposed law say that nothing is likely to happen quickly. They admit that any changes to current U.S. labor law face a tough political battle from the opposition. As the political battle is gearing up in D.C., nearly 3,000 miles away in California’s Central Valley, the harvest season is quickly winding down: There are only a few grapes and raisins are left to pick. Most of the migrant farm workers and their families are packing up and moving on following the crops North. For the next few months they’ll be picking cherries in Oregon and apples in Washington state before returning South and starting the migrant labor cycle all over again. Among those workers are as many as a half million children working the fields, according to Norma Flores Lopez of the Children in the Fields Campaign at the Association of Farmworker Opportunity Programs in Washington, D.C.
That startling statistic has now caught the attention of lawmakers on Capitol Hill. After watching NBC Bay Area’s investigation in August documenting child labor in California and North Carolina, Roybal-Allard was moved. She said things must change. To affect that change, she introduced, once again, the “Care Act.” It is legislation Roybal-Allard first pushed in Congress twelve years ago but has had little support so far. “What the Care Act does is simply provide the same protections under our current child labor laws that exist for children in every industry to have them apply to children in agriculture,” Roybal-Allard said. The idea of making child labor rules the same for agriculture as for every other industry has, so far, gone nowhere on Capitol Hill. But Roybal-Allard now believes change may be possible. But there are others in Congress who aren’t so eager to pass new legislation to protect children working in agriculture. Among them are two of California's Republican congressmen, Jeff Denham and Devin Nunes. Denham and Nunes are both co-sponsors of the “Preserving America’s Family Farms Act.” This bill does the opposite of the “Care Act”: It would prevent the United States Labor Department from unilaterally changing or updating labor rules governing children working in agriculture. Those rules date back to 1938. The bill is sponsored by U.S. Rep. Tom Latham (R-Iowa) and has already passed the U.S. House of Representatives. Sen. Charles Grassley (R-Iowa) is a co-sponsor of a companion bill in the Senate. He said Roybal-Allard’s proposal would hurt family farms. When asked why agriculture, as an industry, is exempt from labor rules involving children that apply to every other industry in America, Grassley stressed the importance of the family farm. 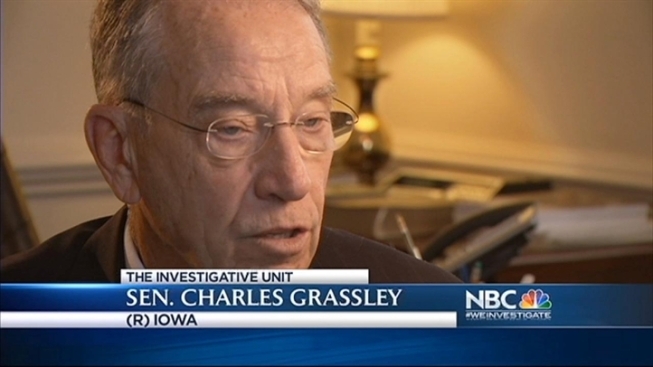 “Well, I think because of the family being involved in it and working side by side with Mom and Dad,” Grassley said. Others involved in the “Preserve the Family Farm Act” were less eager to talk on the record about their support of the bill. Denham and Nunes first agreed to sit down for on-camera interviews with NBC Bay Area in their Capitol Hill. But both congressmen canceled at the last minute. And the press secretary for Latham - the bill’s main sponsor - said the congressman was too busy attending to the needs of his constituents to talk to reporters from San Francisco. 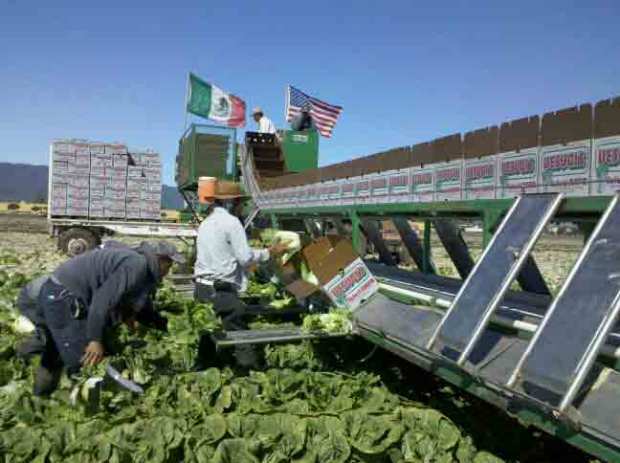 In addition, NBC Bay Area reached out to a dozen different major corporations who process, package and sell the produce these children are picking. None of them would comment about this issue. The California Farm Bureau Federation also wouldn't it down on camera and talk in depth about children working in fields, when originally asked in September. The bureau did sent in a statement, though. To read it in full, click here. Even as the debate splits Washington, back in California’s Central Valley there is little debate among these families working on large farms. For them it may be complicated politics yet it’s very simple economics. While the parents may not want their children to have to work the fields, most families have to have them there in order to make ends meet. As a property manager for migrant housing with Fresno County’s Housing Authority, Connie Saavedra knows the political debate inside and out. She also knows the economic side of this issue, too. As a young child, Saavedra worked the very same fields in the Central Valley where her clients now work. Saavedra said that even recently she has seen children as young as 6 years old out in the fields helping their parents harvest raisins. “They get the little ones to give (the raisin packets) to the older ones and they dump in the raisins (in the wagon) and they pull in the paper,” Saavedra said ,describing the final collection of dried raisins from the fields. Roybal-Allard acknowledged the quandary her bill puts migrant workers in financially. If her bill were to become law the children would no longer be able to legally work on large corporate farms to help out. But Roybal-Allard says protecting children from the dangers of working in agriculture is paramount. When put in that context, even Grassley seemed to back away from the current rules when asked what he thought of 12-year-olds working on large corporate farms alongside their parents to make ends meet. “I think as long as I’ve not been in those fields I’d better not answer,” Grassley said.